Sticks and Stones. (Getting Kids Crafty Part 2). This post follows on from ‘Getting Kids Crafty Part 1. I recommend that you read that first otherwise you’ll have no idea what I’m ranting on about! Obviously, I appreciate that all children are different and some will have no interest whatsoever in ‘creating’, but as the research suggests, being creative can benefit all children, not just those who are naturally crafty. As I examined in part 1 of this topic, as kids progress through school, the opportunities to experience creative subjects get fewer and further between. Combine this with the fact that many children end up spending much of their free-time immersed in a 2D digital world; and we end up with kids who have little experience of creative learning. If we, as parents encourage and actively participate in creative activities together we can foster a life-long love of making things, or at least develop some of those transferable skills in divergent thinking and an appreciation for craft. I think many girls naturally lean towards being what we might, traditionally, label as creative. They will spend time quietly drawing or sticking, threading beads and baking. There are SO many arts and crafts kits made by the likes of Melissa and Doug and Galt aimed at girls to foster their creativity. But boys can and should be creative too – lets not forget, building models from Lego or Meccano, folding paper airplanes and making dens or mud pies are all creative activities that should be encouraged and praised. 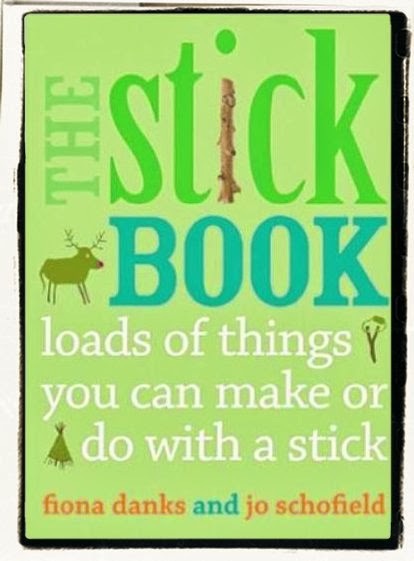 Klutz produce some fantastic books and resources for boys (and girls), such as this favourite in our house. One of the main things I like about the Scouting organisation is that it’s an extra-curricular activity that boys can get involved in that doesn’t just focus on sport (that said, sports are really vital for boys too – learning sportsmanship, teamwork and providing an outlet for their boundless energy). My son goes to Beavers and thoroughly enjoys all the activities that they participate in…Just last week they were baking cakes for Mothers Day. 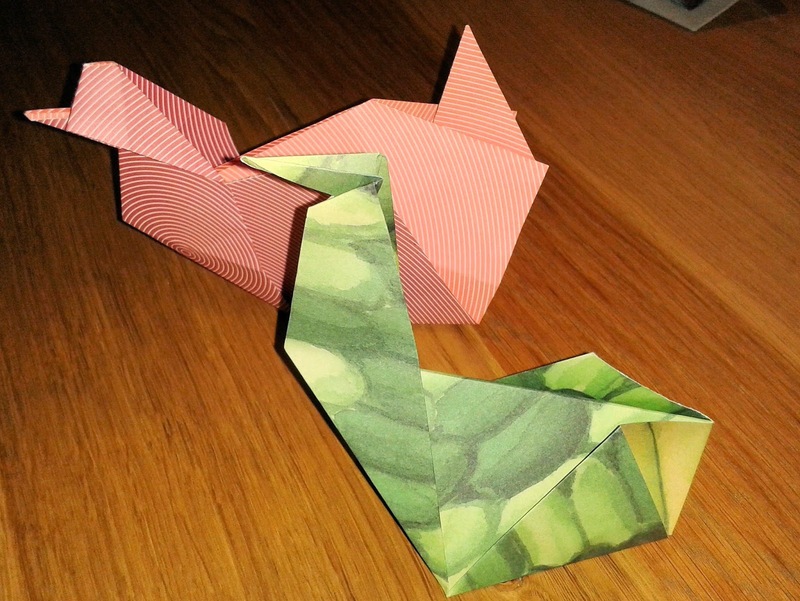 They’ve had a go at origami (which we then continued at home), and T has recently been awarded his ‘creativity’ badge for making a model out of lego to his own design. If at all possible, we should give children access to and teach them about contemporary crafts people and artists. Just seeing the work of some of the UK’s most talented artisans can ignite a desire to go and make something and to learn respect and appreciation of these skills, as well as a realisation that actually turning off the laptop or games console or iPad, and getting into crafting can also be cool*. *I know, I know ‘cool’ is not a ‘cool’ word anymore…I believe the term I should be employing here is ‘sick’ or ‘dench’..or if you’re under 10, I understand that ‘awesome’ is also acceptable! Take The Rag and Bone Man aka Paul Firbank, for example (He just happens to be the brother of a very dear, and equally talented, old school friend of mine!). 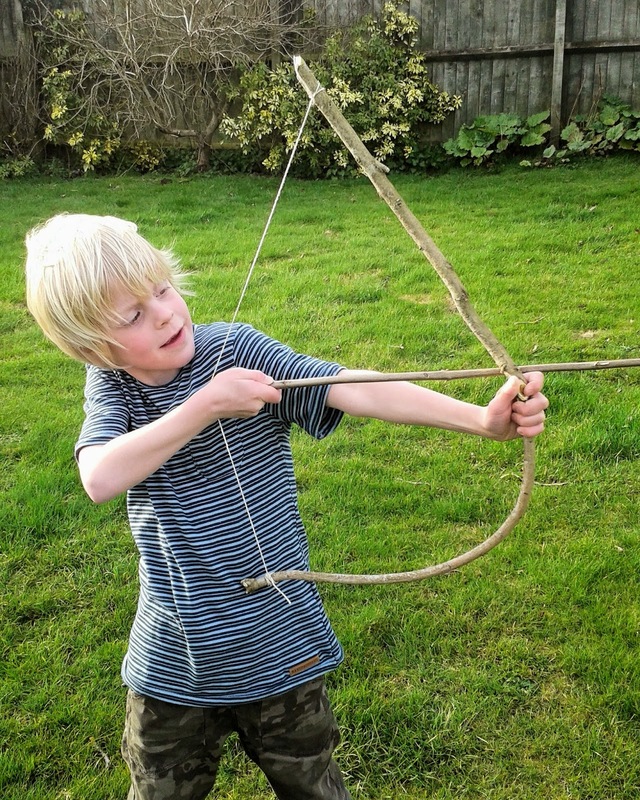 What an amazing inspiration to young boys….just taking something that is ‘found’ or discarded and making something functional and aesthetically appealing will strike a chord with many youngsters. Nothing ‘uncool’ about his craft at all. Paul has featured in the press and television, alongside Channel 4’s Kevin McCloud and has won awards for his remarkable vision and talent. 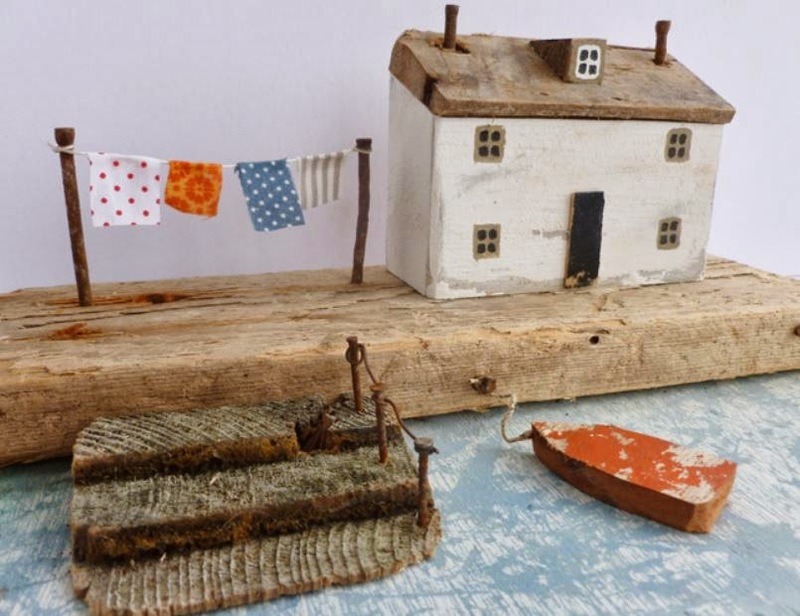 Kirsty Elson blows me away with her charming creations made largely from just stuff found on the beach. We all discover ‘treasures’ when on holiday at the seaside. With Kirsty’s designs as an example, a child can take that treasure, use their imagination and put together something amazing. Our children need to see the stunning work that these contemporary artists create and how they make a living from their craft. When on holiday (especially in the UK..Yay! Britain! ), don’t be afraid to take children to art galleries, to potteries and glass works. Most galleries such as The Tate Galleries, and smaller players such as Compton Verney, near us in Warwickshire, now actively encourage children through their doors and make the experience fun with interactive activities. The UK has some super Sculptor Parks and Trails, some of the best, and one probably not far from you, are featured in this article. The Village Pottery , in Bristol gives kids lessons on a potter’s wheel. The Red House Glass Cone in Stourbridge allows children to view their glass-blowing demonstrations and run various events and workshops for kids. DIY superstore B&Q run workshops and parties across the country for the 7s and over, to learn and experience woodwork. For those hooked on digital content check out Tate Kids for games, films and to create an online gallery of work or find inspiration for new projects. These are just a very very few examples of places where arts and crafts can be seen and experienced. A quick Google search will doubtless find something near you. If on holiday abroad, there will be opportunities to see local crafts people in action too, or the work of famous artists and architects. Do your research and have a day out to do something different. We’re off on a sunshine and tapas fix in Barcelona with T soon. On our last visit there we took him to the Picasso Museum. 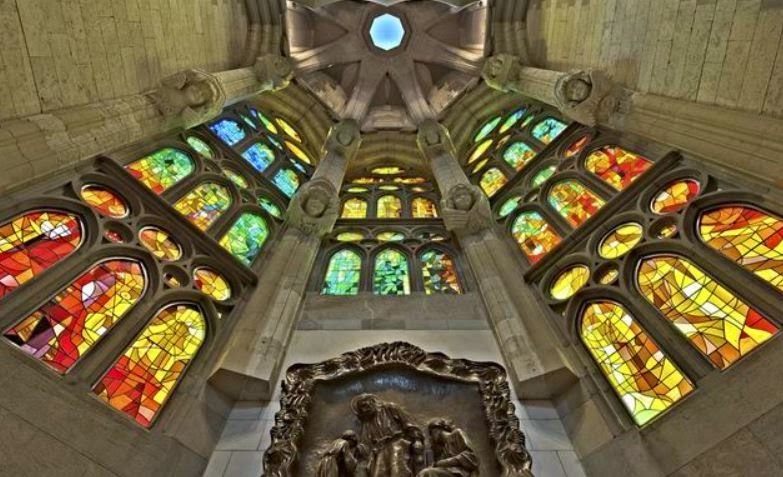 This time we’re planning Gaudi’s fascinating Park Guell and the iconic Sagrada Familia. We owe it to our children to give them the inspiration and opportunity to create. If they are increasingly less likely to do that in school, then let’s do it at home. Whatever your plans with your children are for this summer…Get them inspired and get them making something.